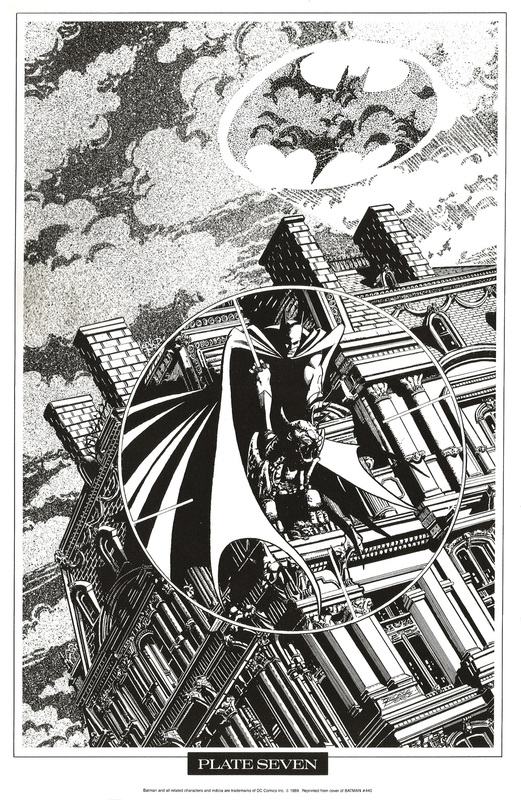 George Perez Portfolio (1990) | 'TAIN'T THE MEAT… IT'S THE HUMANITY! Since the birth of the medium in the late 1930’s there have been many comic book artists who have achieved popularity amongst fans. 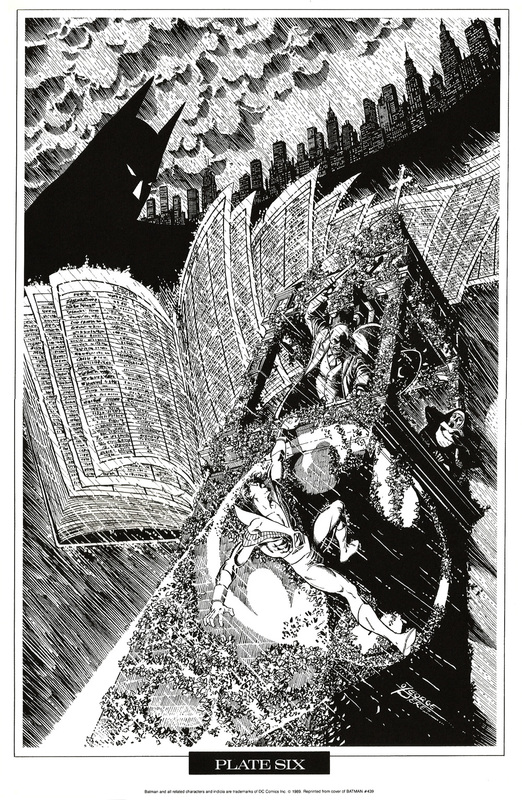 However, for many, that popularity will have waned over the passage of time as art styles and readers’ tastes changed. 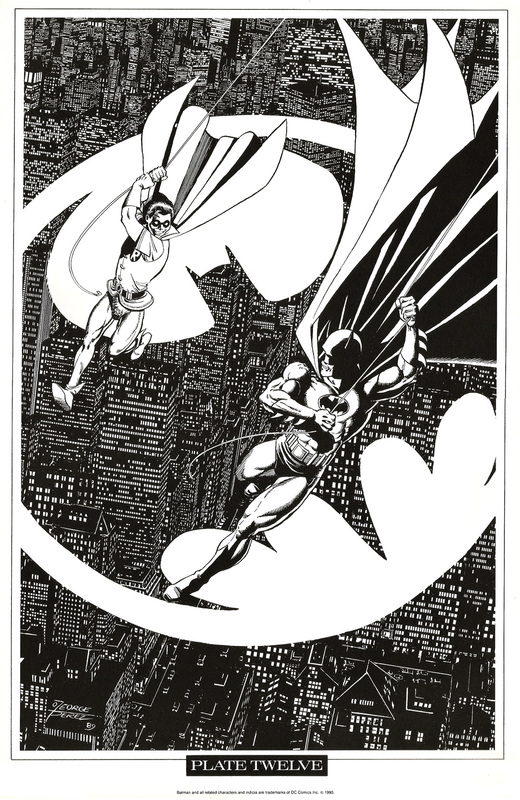 But a rare few artists remain so consistently popular that they achieve legendary status, and there can be no doubt that George Perez is a legend in the world of comic book art. 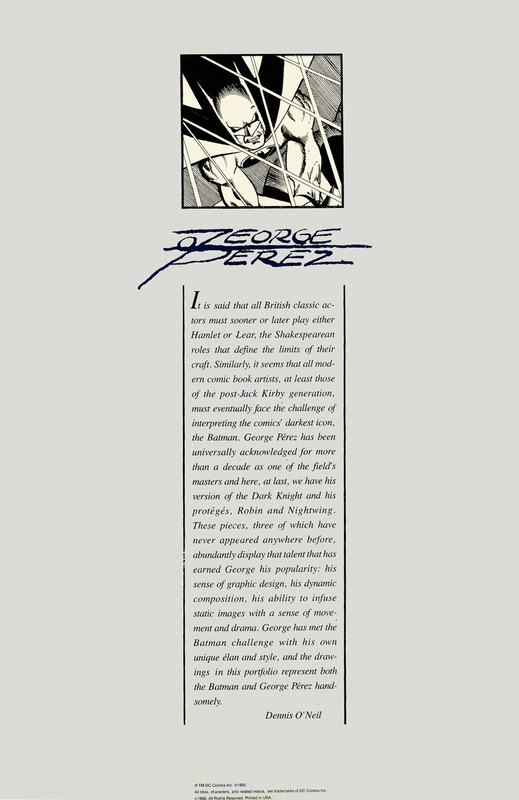 Perez’s first professionally published work appeared in Marvel Comics’ Astonishing Tales issue #25 (August 1974). He quickly rose through the ranks of the publisher’s artists and assumed the art chores on The Avengers, working on the title for six years. 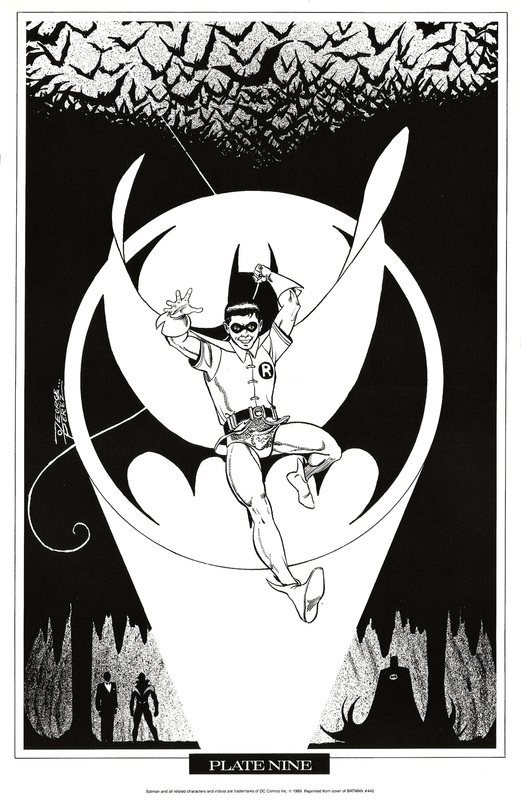 Although popular with fans it wasn’t until he moved to DC Comics in 1980, and paired up with writer Marv Wolfman, that the artist really began to attract attention. 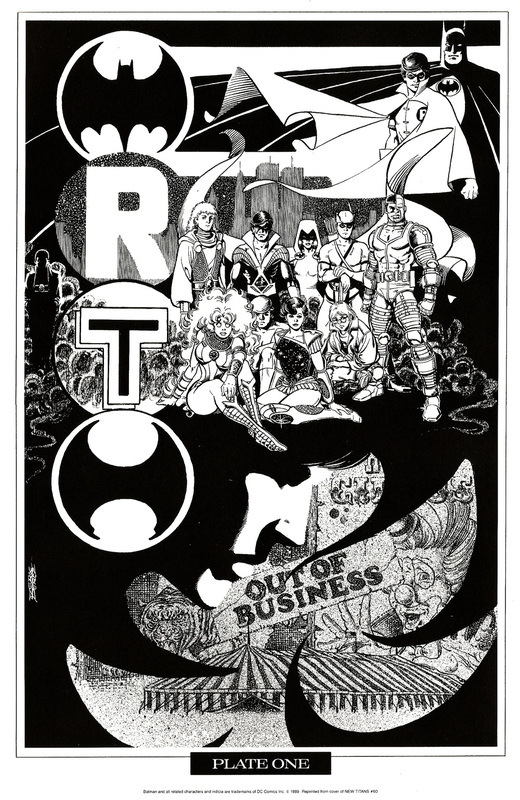 Their first collaboration, The New Teen Titans, was a major success and the pair’s next project, Crisis on Infinite Earths, cemented Perez’s position as one of the medium’s biggest talents. 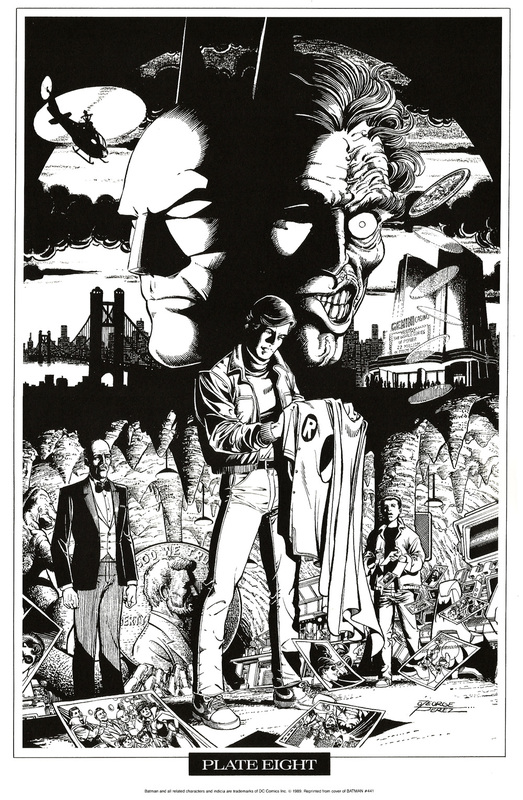 In 1988 he returned to The New Titans and when the title crossed over with Batman Perez pencilled and inked the covers, which feature in this portfolio collection. 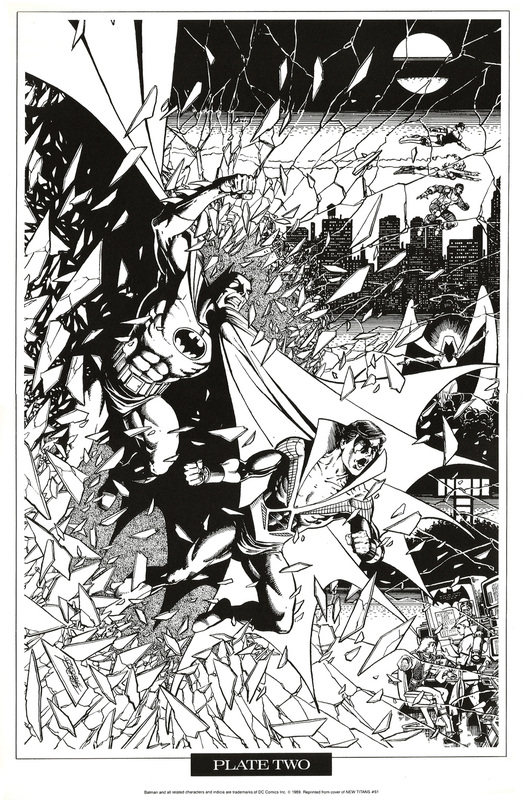 Published by DC in 1990 the George Perez Portfolio contained 12 black and white plates showcasing the artist’s cover work from The New Titans and Batman. Each plate measured 10 x 15.5 inches, was printed on bright white stock and shipped in a fold-out cardboard envelope complete with red velcro tabs to hold down the cover. 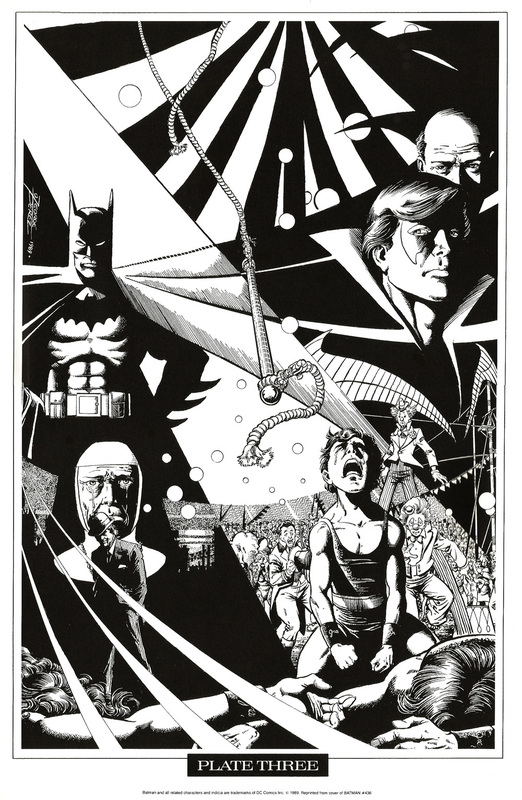 An introduction by longtime Batman writer Denny O’Neil featured on the back cover and the portfolio sold for $18. 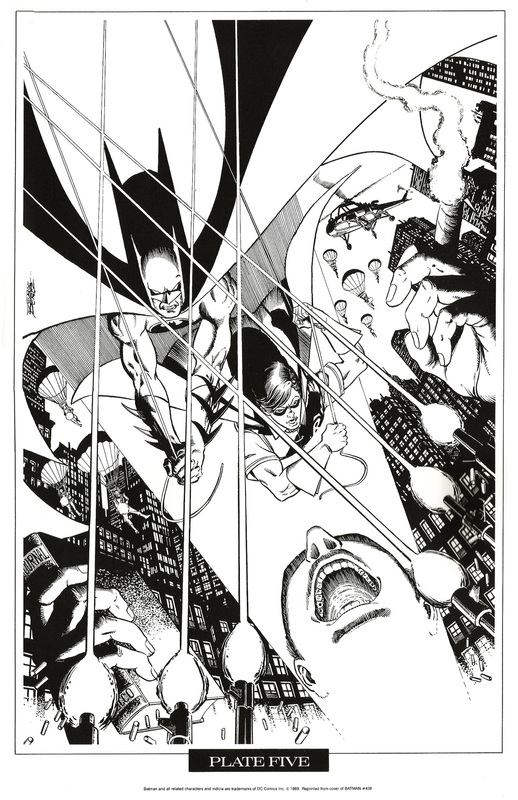 Nine of the images reprinted covers from The New Titans and Batman while Plates #10, #11 and #12 featured new artwork created specifically for the collection. 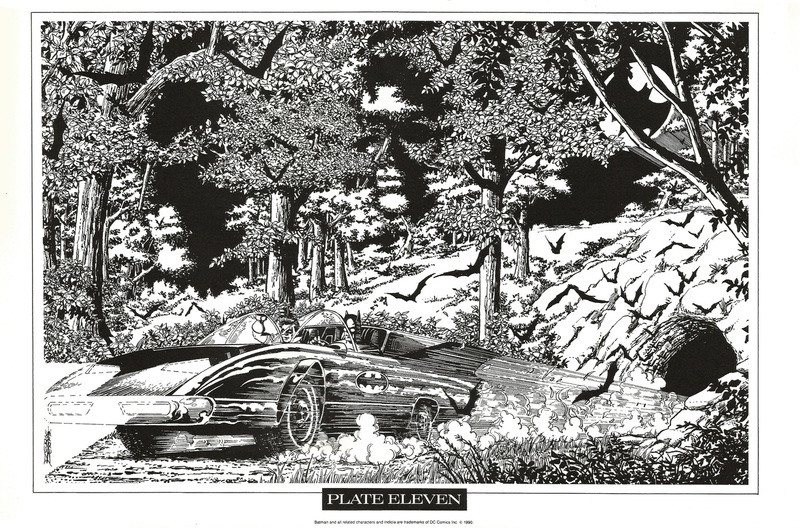 Here are the twelve plates, click on each for a larger version. 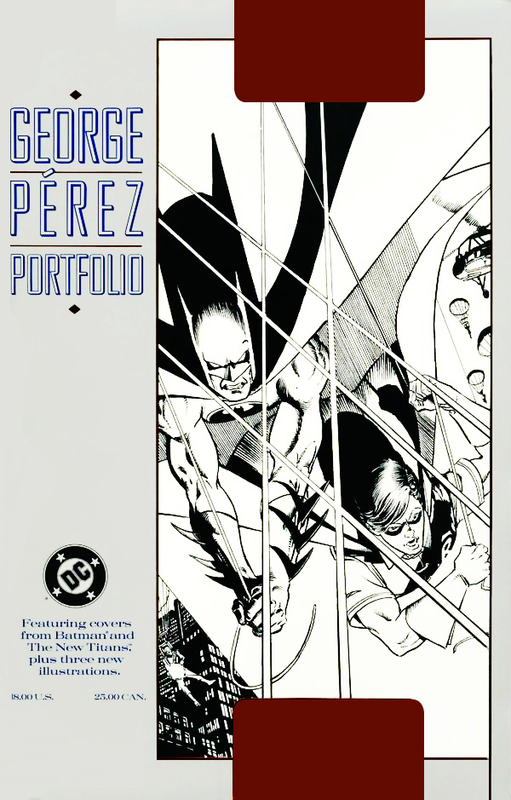 Perez’s career is now entering its fifth decade and in that time he has drawn almost every character from both DC and Marvel’s stable of super-heroes. 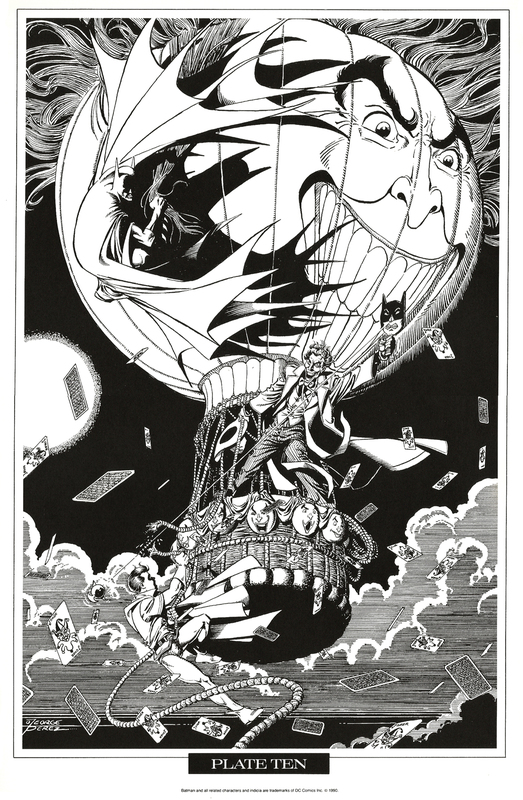 He has also gained a reputation as an accomplished writer, helping relaunch Wonder Woman in the mid-Eighties and, more recently, writing Superman for DC’s New 52 reboot of 2011. 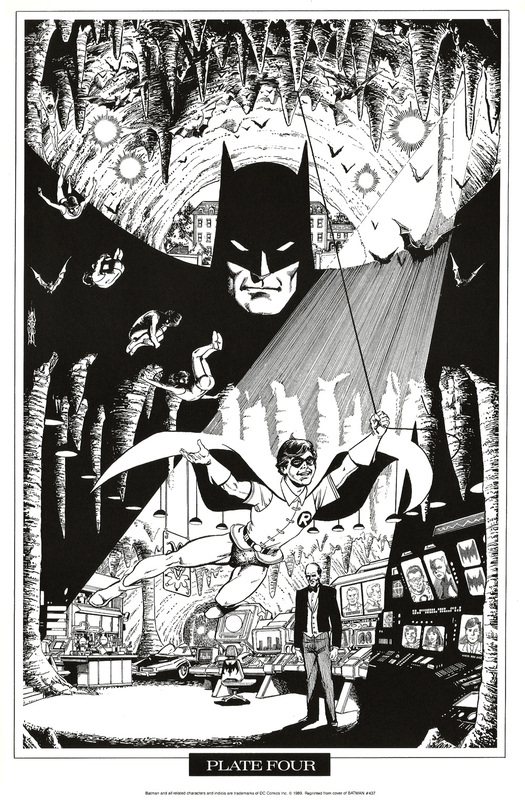 And his artwork recently appeared in a hardback coffee table book, The Art of George Perez published by IDW Publishing in 2012 – which I’ve read and highly recommended.